Taipei, July 11 (CNA) The official height of Jade Mountain, the highest peak in Taiwan, was officially restated as 3,952.43 meters with a margin of error of plus or minus 4.5 cm, using the most modern technology available, according to a Yushan National Park Headquarters (YNPH) press release Wednesday. The Ministry of the Interior's National Land Surveying and Mapping Center visited the mountain on multiple occasions from 2016-2017 to take readings, the press release said. Different techniques such as leveling, satellite positioning and gravity surveying were used to ensure the measurement is as accurate as possible, the statement said, adding that it is the most precise measurement possible with existing technology. 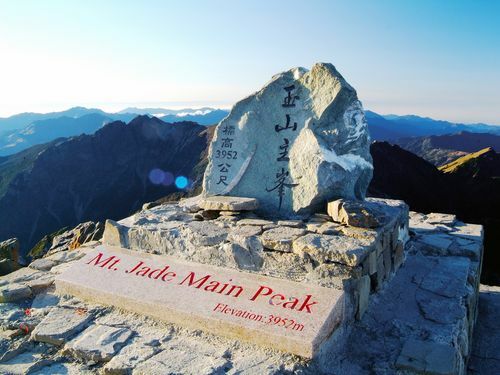 The official height of Jade Mountain was previously recorded as 3,952 m and it remains the highest peak in Taiwan and Northeast Asia, the YNPH said. The first time the height of the mountain was measured was during Japanese colonial rule, the YNPH noted. In 1897, it was renamed Niitakayama because it was higher than Japan's tallest peak, Mount Fuji, which stands at 3,776 m above sea level. In the years that followed, the mountain was recorded at 3,945 m in 1904, 3,962 m in 1909 and 3,950 m in 1925, the YNPH noted. In 1947, the Taiwan Provincial Government renamed Niitakayama Yushan (Jade Mountain), and in 1957 the United States military recorded the height of the mountain at 3,997 m, the YNPH said. Due to the use of different techniques and updates in technology, the mountain was measured at 3,952.348 m in 1976 and 1979; and 3,951.798 m in 2003, the YNPH added.